Throughout Massachusetts and Rhode Island the majority of motorcycle accident deaths are caused by collisions with other vehicles due to factors like distracted driving and drunk/drugged drivers. 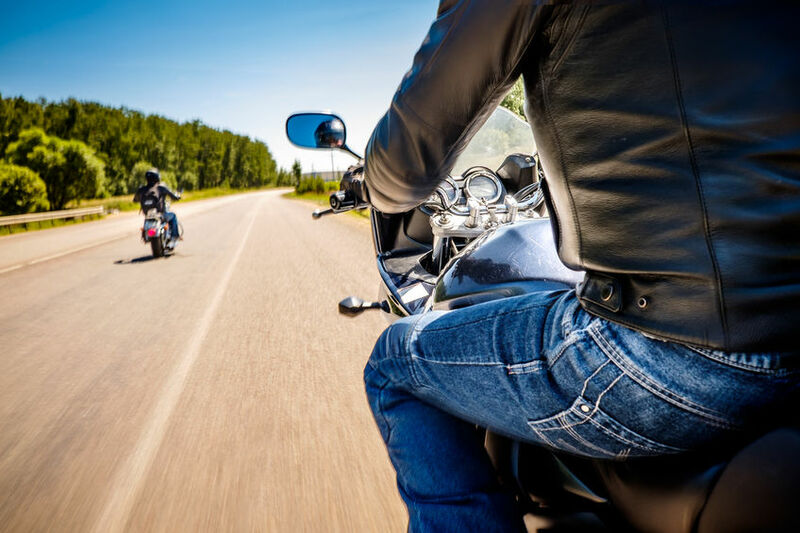 Due to their unprotected environment, a motorcycle rider is far more likely to suffer serious catastrophic injury or wrongful death when involved in an accident. These accidents don’t only happen in high traffic highway areas like Insterstate-195 through New Bedford, Fall River and Providence, but also out on more open roads like historic Route 6 through Dartmouth and the Cape or out on I-295 through Smithfield, Lincoln and Attleboro. Whether you’re you’re heading out for a day trip or just a Sunday cruise, it’s good to know the helmet laws in Massachusetts and Rhode Island. There’s no such thing as a fender-bender for a motorcyclist. As operators of a motor vehicles we all have a responsibility to help ensure the safety of those with whom we share the highways, rural roads, and city streets. Here in Southern New England the roads are filled with bikers most of the year, so we need to avoid distracted driving and ALWAYS look at least twice before changing lanes or making a turn. It could save a life. These are some common motorcycle accident scenarios to avoid. If you or a family member have been left with injuries after a motorcycle accident caused by the negligence of a distracted driver, please contact us to speak with an experienced attorney. Dussault & Zatir P.C. has lawyers on call at +1-800-542-4LAW to answer your personal injury questions. With offices in New Bedford, Fall River and Taunton, Massachusetts, as well as an office in Providence, Rhode Island, if you’ve been injured, our lawyers are here to fight for you.